Thank you all for a fantastic response to this years ticket sales. The deadline has now passed for online orders due to postal deadlines, but a number of tickets will be available on the day. Three days to go, have a great festival! Here you go people, the set-list for 2o16. Some great bands on early so don't be late! We've now sold around three-quarters of all Saturday tickets for MMF 2016. Don't delay in getting yours, there isn't long left and we are well on track for another sell-out year! Don't delay in ordering your tickets, over half have now gone, only 200 tickets remain for Friday night and 100 camping tickets remain. If you would like to join our many vendors at MMF 2016, please email just.jules@ymail.com for details and a booking form. 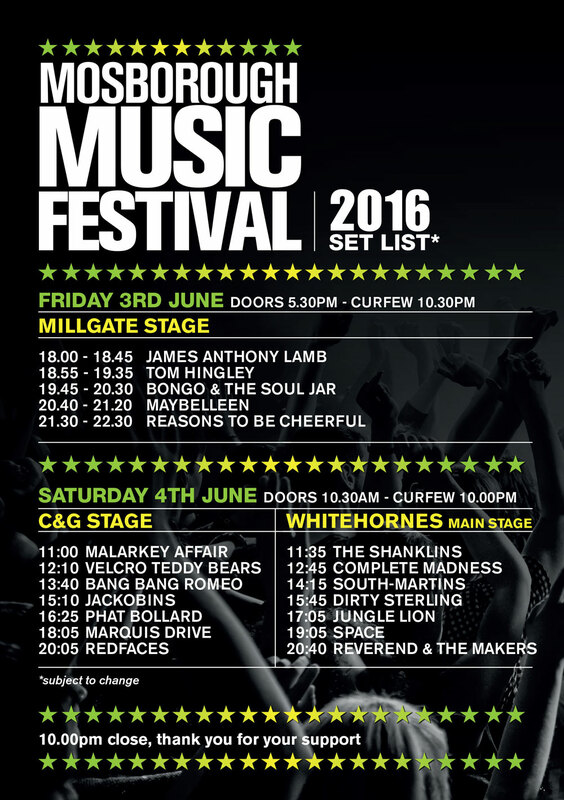 MMF 2016 is now going to be a 2 DAY EVENT, with camping available overnight on the Friday. Festival, V.I.P, camping and Friday night tickets on sale from 1st November', campers get a free pass for Friday nights gig, campers must have a Saturday ticket. Keep an eye on the site for tickets!